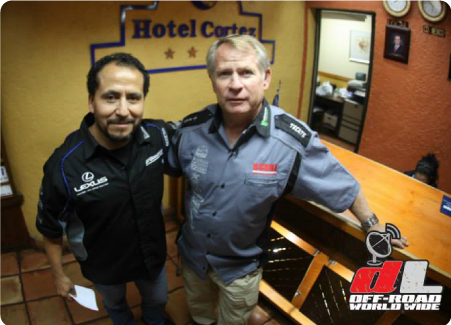 Juan Carlos Pacheco has been coordinating and organizing travel and accommodations for tourists and off-road racers since 1989. A local Ensenda native, JC has the contacts, the experience and the know-how to put together any adventure you’re looking for throughout the Baja region. BajaVoyager got its start in organizing accommodations and coordinating logistics for world-famous Baja off-road racing events, like the Baja 1000 and Mexican 1000. These fast-paced, long-range, unpredictable events provided excellent opportunities to gather experience and garner local partnerships from Tijuana to Cabo San Lucas. After a few years of solely focusing on racing, we expanded our business into vacations, weddings, corporate events and adventures throughout Baja. Today, BajaVoyager is a concierge service and solutions team. We can deliver a complete range of products and services, including accommodations, travel, dining, event planning, and excursions by drawing on our extensive network of the finest and most trustworthy service providers throughout Baja. Contact us today and let us know how we can help you make your dream vacation, event or adventure come true! BajaVoyager is a concierge service and solutions team. We can deliver a complete range of products and services, including accomodations, travel, dining, event planning, and excursions. We do this by drawing on our extensive network of the finest and most trustworthy service providers throughout Baja.